A married couple who couldn't have children began to turn to Padre Pio so he could intercede for them before the Lord. 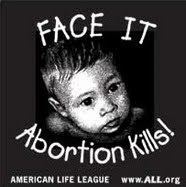 Not long afterwards, the young woman became pregnant and was extremely worried she would lose the child. One night not long before she was due to give birth, she had a comforting dream. She was in the maternity operating room and before the gynecologist came in she saw a man with a beard standing in a comer of the room, looking at her and smiling. Then she woke up. 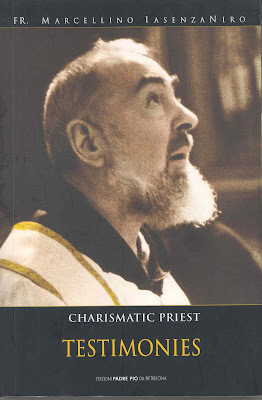 Judging by photos that she had seen, she thought the man resembled Padre Pio. She spoke about her dream to everyone; for her it had become almost an obsession. A few days later, a baby boy was born and all went perfectly well with no problems. 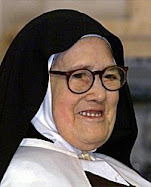 After a few months, the happy mother started to plan a trip to San Giovanni Rotondo; for she wanted to see for herself if Padre Pio, whom they had prayed to, really did resemble the person she had seen in her dream, and if so to thank him. 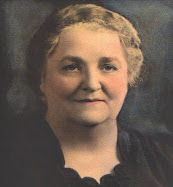 Her husband, seeing how fervent she was about the matter, tried to calm her down, and had repeatedly kept saying: "Don't worry, it was all just a dream, just a dream--just a dream nothing else". At last, they made the trip. When they arrived at San Gio­vanni Rotondo the couple took their place in the cloister where Padre Pio would pass. When after a moment the Saint arrived, he stopped near the husband, looked at him kindly, and then gently patting his shoulder, and with a wide smile said in an ironic and somewhat amused tone: "So, it was all just a dream, eh?". Father Antonio Durante from Monterosso, a capuchin friar also had the chance to observe how Padre Pio read his thoughts on one occasion. One day while walking with the Pa­dre in front of the friary he noticed that Padre was the object of much affection and devotion from the people. Seeing this, Fr. Durante said to himself: "How can this man resist the temptation of vanity and of feeling pleased with himself'? He had just finished saying this to himself when the Saint turned towards him, smiled and softly said to him: "See how much glory is being given to God!"." "So, the spir­itual life seems like climbing glass, eh?" Father Pasquale Cattaneo also gives us a testimony showing Padre Pio’s ability to read hearts. 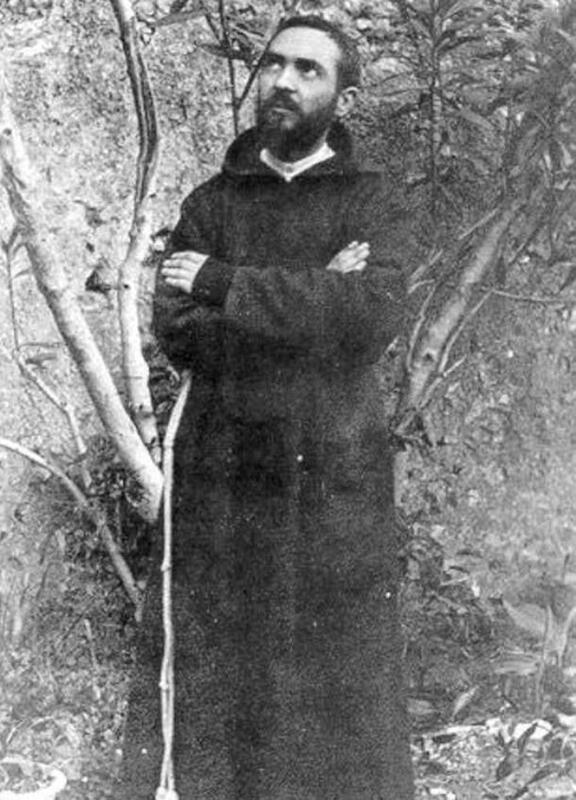 Fr.Cattaneo had received permission from his superiors to visit San Giovanni and to go to confession to Padre Pio. During his bus trip he prepared himself with a good examination of his conscience so as to be ready to make a sincere confession of his sins. With the help of the Holy Spirit he looked into every comer of his soul, and made new promises of amendment. However as the bus going to the Gargano was on the last part of the journey and the town came into view, he ended his examination perplexed thinking: "The spiritual life at times seems like trying to climb glass." When he arrived at the friary, he went into the sacristy and told the friar who helped with the confessions that he had come to confess to Padre Pio and afterwards he patiently waited for his turn. When the time came he entered the confessional, greeted Padre Pio and made his confession. 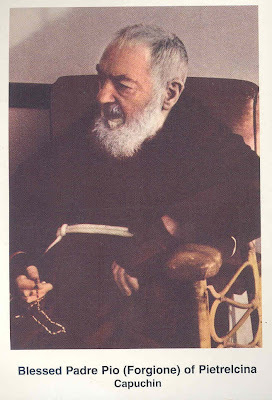 After confessing his faults, Padre Pio gave him absolution. He then arose, feeling happy that he had made a sincere confession, when he turned one last time and glanced at the Padre--the Padre smiled at him and with an amused look he wittingly said: "So, the spir­itual life seems like climbing glass, eh?" 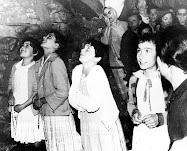 Father Pasquale was flabbergasted and couldn’t seem to utter a word, but from then on he was absolutely convinced that Padre Pio was enlightened by the Holy Spirit to guide souls. 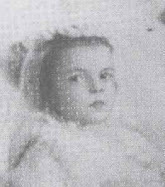 Thus it is a very unusual truth that P. Pio could at times perceive what his spiritual children were thinking, even without them giving explanations to him. 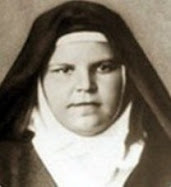 "Padre Pio was confessing the women and I was in the church at three or four metres from him. That day I definitely would not have had the chance to speak to him, so I spoke to him interiorly, saying: "Father, send me a blessing. I really need one". I had just finished expressing my wish when I saw the Saint move from the confessional window grate which hid his face; he looked directly at me and then made the sign of the cross. Then he turned back and bowed his head once more to continue confessing." "Go ahead then and kiss it, before I give you a little smack." “After confession I waited in the cloister corridor to be able to kiss his hand as he passed by. 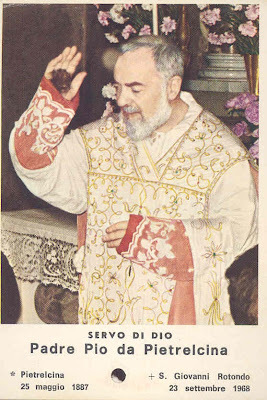 (The faithful always desired to kiss the stigmatized hands of P. Pio, as they considered this a great privilege and blessing –editor). 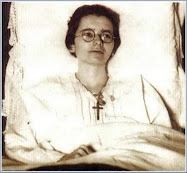 When Padre Pio arrived he did not stop near her, so she was unable to kiss his stigmata. She immediately felt very saddened and deeply lamented about this in her heart. Suddenly, the Saint turned back, walked up to her, held out his hand, and like a father with a light smile he gruffly said: "Go ahead then and kiss it, before I give you a little smack." "How many times you called out to me!" 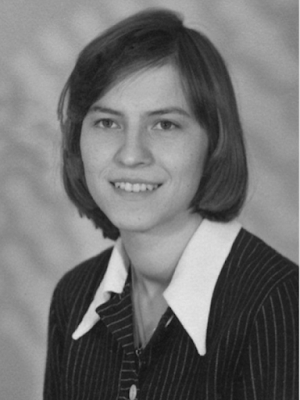 Testimonies also show that P. Pio listened to the voice of his spiritual children even when they were far from him. Father Valentino was a capuchin friar from San Marco in Lamis who was a spiritual son of Padre Pio and was very devoted to him. During the second world war he was in Emilia Romagna while the Gothic line of the German Army was encamped on the Apen­nines, thereby dividing the region in two. Because of this separation, he hadn't heard from his family who lived in Puglia for a long time. So one day he finally decided to try to cross over and head for his family in the South. However, it was of course necessary to cross the military front, and to do so was very, very risky. He knew some people who were fighting against the Germans so he asked them for help and advice about what to do. They indicated a way through the mountains but warned that is was very dangerous. Additionally, it was in the middle of the winter and very cold. There were a few others also who longed to be united with their separated loved ones so together the group set a date. The day arrived and Fr. Valentino said to himself--"It's now or never”. So together with a few others he set off walking. 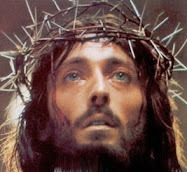 He prayed to God for the groups safety and in prayer he also sought the intercession and help of Padre Pio. Eventually the group came to a very high place in the mountains where the path was narrow and covered with snow. At this point the path descended down a steep slope. When Fr. Valentino was about halfway down the slope, he placed one of his feet wrong and suddenly started to slide. "Padre Pio help me; Padre Pio help" he cried as he was sliding down. Suddenly, a bush broke his fall. The others helped him back up and he was able to continue his journey and eventually the group crossed the military line safely, without being discovered. When he reached San Marco in Lamis, after resting a few hours, he wished to go to San Giovanni Rotondo to see Padre Pio. As soon as Padre Pio saw him he said: "How many times you called out to me the other night!..how many times!" The Saint then held him close to his heart and said: "Let us together thank the Lord"
"That night on the roofs!" Father Nello Masini, a priest of the Giuseppini of San Le­onardo Murialdo, met Padre Pio in the 1950's and became one of his affectionate spiritual sons, thinking very highly of him. He often went down to San Giovanni Rotondo to stay a while with the Saint. He tells us that during one summer he went to Veneto to take part in a spiritual retreat with his confreres. He was quite chubby and well built and when he went to bed he snored extremely loudly. Because of this, his fellow brothers put him in an isolated room at the bottom of a long corridor, far away from everyone, so he wouldn't disturb anyone. One night poor Father Nello, went out of his room to go to the bathroom and went into the nearby toilet, but closing the door too forcefully he unintentionally fastened the outer latch. After satisfying his need, he wished to go out, but he realized that he was trapped inside. He started to call for help but no one could hear him. Losing all hope of being rescued, he climbed on a stool and looking out of the window saw the roof which was facing the rooms. He decided to try this way out, hoping he would find some window open. He squeezed into the little space available to him but his 120 kilos were not of help and he got stuck halfway. Helpless and knowing there was no one around to help him, his thoughts went to Padre Pio whom he called upon in thought and prayer. Finally after a short time he suddenly found himself outside on the roof top, without realizing how. Holding onto the wall carefully and watching each step to avoid falling down into emptiness, he finally reached the windows. The first was closed but the second one—that of the reading room, was opened. Gratefully, he was finally able to go back to his bedroom. The next morning he awoke thinking "It was a very good thing that Padre Pio helped me last night." After a few months he returned once more to San Giovanni Rotondo to see and greet the Padre. He found him on the ve­randah praying. He went towards him to kiss his hand. As soon as he saw him the Saint looked at him, smiled and exclaimed: "Don Nello, Don Nello, that night on the roofs!" 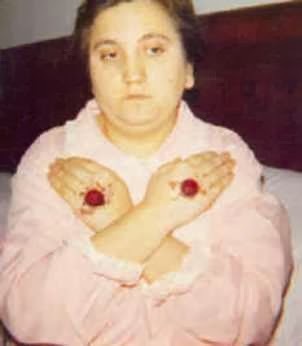 "If you cry, I won't come to your house any more" -The miraculous cure of Paolo Nigro. 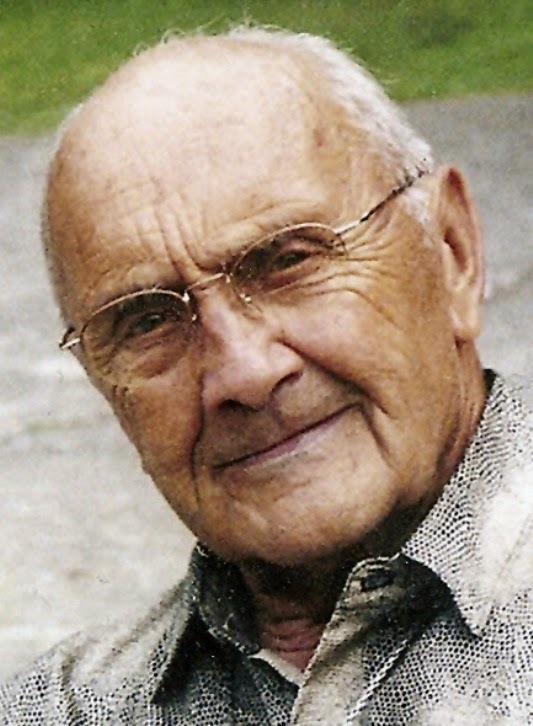 Paolo Nigro received a degree in Humanities in 1936 and took a second degree in Philosophy in 1940. He considered himself an atheist and his Philosophy thesis was a denial of the existence of God. He later taught in high school, all the while maintaining his ideas. 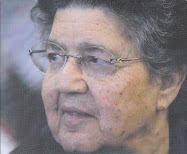 His wife how­ever was strong in her faith. 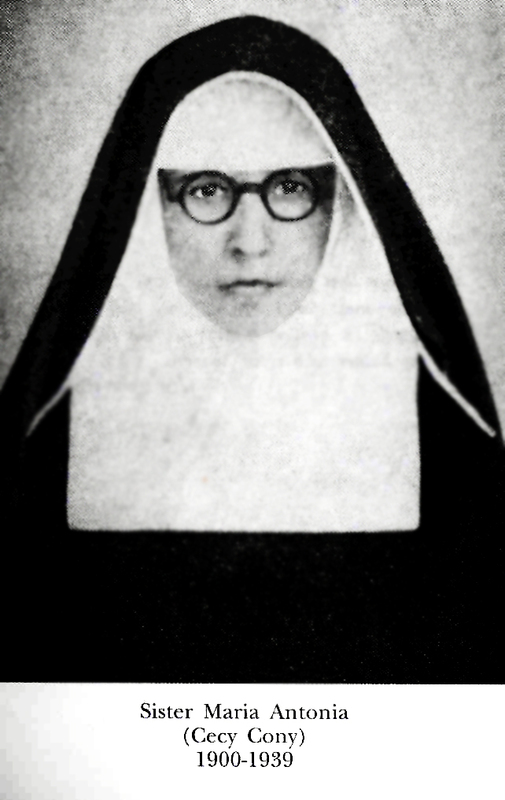 Because she was an orphan, she had been brought up and educated in a convent run by Car­melite nuns and she had stayed there until she was twenty-two. 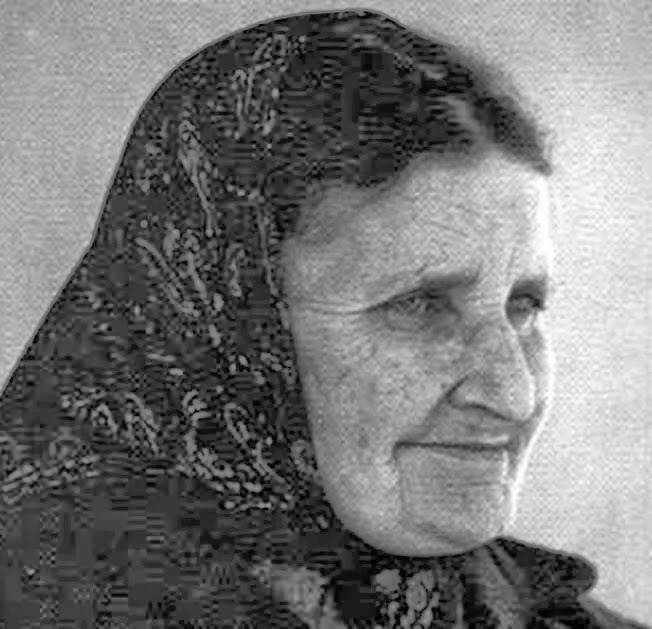 Together they made their home in Taranto. When Paolo was still very full of intellectual vigour and feel­ing quite fit, he was suddenly struck by an grave illness. He had a dry pleurisy and in the spring of 1950 it was bringing him close to death; the doctors in fact had eventually declared they could do nothing more for him. One Saturday evening in April at 10pm two men knocked at the door of his house; they introduced themselves: Otello Risaliti was a warrant officer in the Navy and the other was a man named Carlo Lusardi. Since Paolo's wife Maria did not know them, she of course did not want to let them in the house, for she was alone with her two children and her seri­ously ill husband. At this time, he was gravely ill and had had a very high temperature of 105°F for two weeks. At times he was delirious, and seemed at death's door. The two men insisted saying: "Padre Pio has sent us and we have to say the rosary for the man here who is seriously ill". The poor woman had never even heard of Padre Pio and therefore she was unsure what to do. 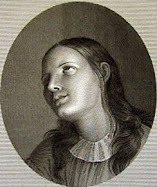 She told the men to wait at the door and went and had a word with her sick husband, who having heard that the men spoke of saying the rosary, he gave his permission, and so finally she let them in. Here it must be said that a few years before, in 1946, Prof. Nigro had slightly changed his opinion as an atheist. He had surprised everyone when he had requested to meet the Archbishop of Taranto, Mons Bernardi, to whom Prof Nigro related a story of how he had had a kind of vision in which he saw Our Lady's profile. After this vision he started to go to Mass, even though he didn't go regularly. We can surmise that this was the reason he let two strangers, who wanted to pray the rosary for him to the Blessed Virgin, to come into his house. "I can see it as if it were yesterday. 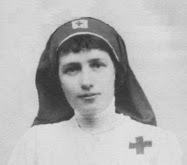 The two men, Risaliti in his white uniform and Lusardi, both kneel­ing and together devoutly saying the rosary. However as they were praying, dad was restless and said to mum: "Maria, send that hooded friar at the foot of the bed away". Mum said nothing; she imagined that vision was due to his high temperature". 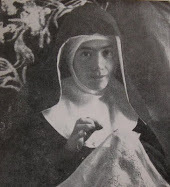 Before leaving after finishing the rosary, the Padre's spiritual sons discreetly begged Maria to accept some money: "It is sent by Padre Pio. You will need it next week to pay for your husband's journey from here to San Giovanni Rotondo. The Padre wishes to see him. And the remainder is for the medicines". 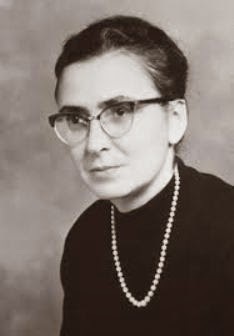 About this particular point Santina explains: "It was as if Padre Pio knew we had spent nearly all our money to buy penicillin which was very expensive at the time". The following Monday, the sick man was much better. His temperature had gone down to normal and the doctors were amazed. 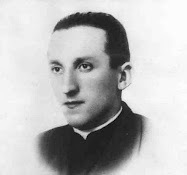 His health had improved so much that on Thursday, three days later, at 9.00 in the morning, Risaliti and Lusardi came to collect him and take him by taxi to the Taranto train station, as he ardently desired to meet Padre Pio. In the evening they ar­rived at San Giovanni Rotondo and the three men together took lodgings in a little white house on the right, going up the road leading to the friary. The next day, Friday, they took him to the sacristy where Padre Pio was confessing the men. At the end of the confessions, P. Pio came out from the curtain, which hid him from view of onlookers. 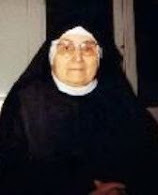 "My Dad" said Santina, “immediately recognized in him as the friar who the previous Saturday he had seen at the foot of the bed while the rosary was being said. My dad immediately went up to him and threw him­self on his knees, crying. The Padre helped him up holding his wrists and said in our dia­lect: "If you cry, I won't come to your house any more". The next day dad confessed to the Saint, who put him back in God's grace and accepted him as a spiritual son. He immediately became a different person. 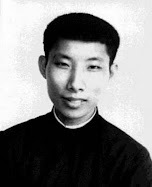 He went to Mass every day and received Holy Communion. The Padre continued to be near him in those first steps into a new life. He came [spiritually, through bilocation] to visit him at home. 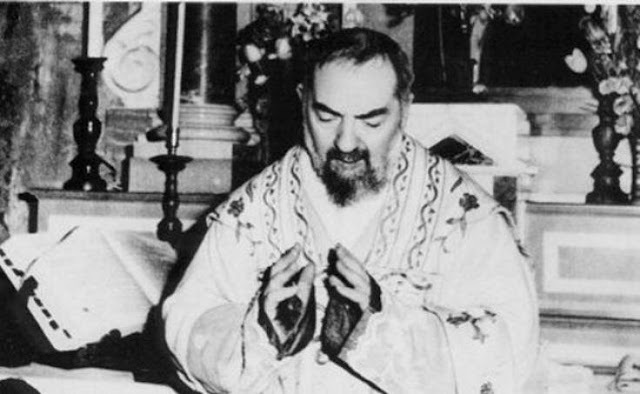 During his convales­cence dad sometimes said to me: "Santina, Padre Pio is putting his hand on your head". And so it was that the busy mother had been given the grace to make her confession that morning. I recall to mind your promise to Jesus: "Lord, I will stand at the gates of heaven until I see that all of my spiritual children have entered". 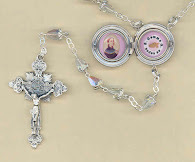 For those interested, I am offering a beautiful St Padre Pio relic locket rosary in the Gift Store here. Blessed be God in His angels and in His saints!!! God bless you Glenn for your hard work. Thank you for touching souls with God's grace. I thank God for the many times your words have arrived in my home at a moment when I really needed to read them; very much desiring the consolations of my Lord He sent them in your words, to ease my pain and suffering so I could bear them and finish the task He set me. May He bless you abundantly. I am glad that you enjoyed the article--in fact, I am not at all surprised that you liked it since I know very well your devotion to St Pio. I pray that he may always be very close to you--to guide and help you in your vocation. years ago Padre Pio came to me in a dream. i was going through a very nasty divorce, i was so upset that i thought my life was over, i would spend alot of time in bed crying and depressed one night in a dream he came to me he was angry and said get up out of that bed your life is not over. i will never forget that for as long as i live! i believe he helped me from that day on ward and i have loved him as a great saint ever since. Thank you again Glen for amazing stories and article on St Padre Pio. Also thank you for the novena and spiritual child prayer which is a blessing to call out to St Padre Pio to intercede for us. Great stories to read. 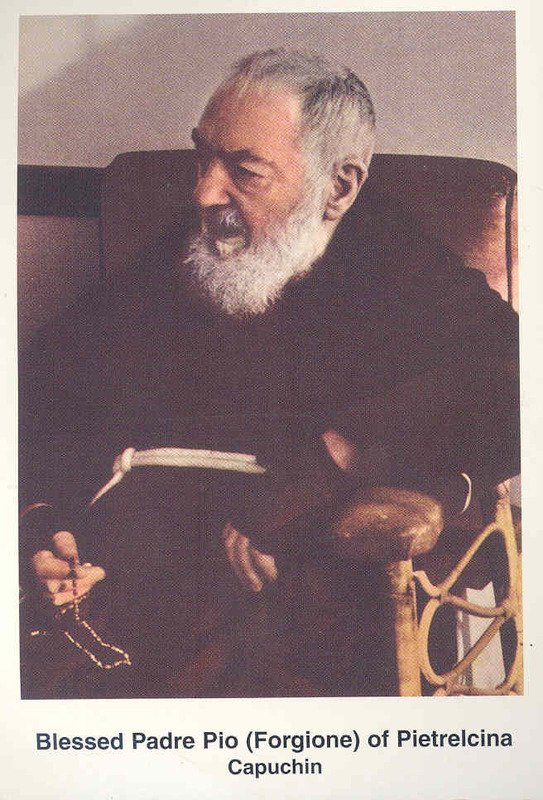 I've always been fascinated with Padre Pio for some special reason that I could not explain. 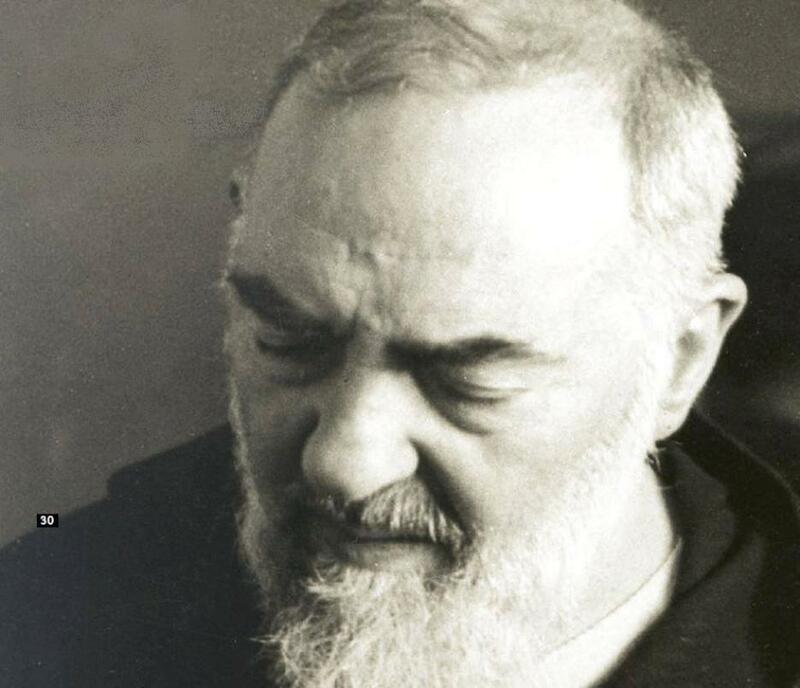 When our 3rd child was born I would sit holding him on our couch and watch him and he would suddenly smile for some reason, I looked to see what he was smiling about over my shoulder and it was a picture of Padre Pio that we keep on our wall! Even when I'd carry my son he would gravitate to always looking at Padre's picture. He is now 5 and asks me to pray for Padre Pio's intercession for him when he gets hurt. I now say Padre's prayer after communion weekly. Ive been following Padre Pio since I noticed one of his books in a Barnes and Noble in Florida. He's so real to me. Ive often cried over the difference between him and myself. I desperately would like to go to Italy to see him and pray there. Please pray for me. Padre Pio Please hear my crying, I am a married woman who my husband and I are sick please Padre Pio forgive my sins and intercede with my husband's and I health. Padre Pio please come to my life, come to the life of my husband who is a good man. Please I beg to visit and heal him please I pray. Thank you Lord Jesus for sending Padre Pio to us. 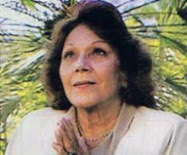 Dear Heavenly Mther,thank you for caring so tenderly for this great Saint while on Earth. Dear Padre Pio, help my family to grow strong in the faith. Dear glenn, thank you for this wonderful and amazing stories of Padre Pio..Lately, I have been so sad and worrying but reading your articles gave me hope. It made me shed tears as I listened to Padre Pio's message for me to be joyful and to be happy as God loves me and will answer my prayers. Padre Pio, thank you for coming into my life. Please bless me and my family. Thanks for your kind comment. I am really happy to hear that you are inspired by this article. Thank you so much Glenn for the warm response to my comment. Padre Pio really moves in mysterious, wonderful and he comes just on time. A message from his words came to me and gives me strength and hope. " God sometimes make us bear the weight of the cross and although it may seem intolerable, God in his mercy lends a helping hand to give us strength to bear it." I have many problems which are seemingly unbearable and dreams which seem unrealistic as described by many but I know that with God and St. Pio praying with me, I shall be able to receive miracles from heaven. Thank you Glenn..I have just become a spiritual child of Padre Pio through your article. I welcome Padre Pio in my life as my spiritual father. I am heartily sorry for my sins and I ask God for a renewed life. I welcome Jesus and Mama Mary in my heart to heal me and bless me and my family. Padre Pio, i know you are now guiding and helping me. Please pray for me. Again, thank you Glenn. May God's abundance always give you graces from heaven. There was a parish church on the middle of the city here in Ortigas, Pasig City, Philippines it was named to St. Francis and there was a tarpaulin outside of the parish which Padre Pio's face whenever the jeep as a passenger passing thru to him or whenever I see him I greet him good morning Padre Pio! It just now I realized his works for God he did. He seems to be still alive for us all. One of our Child Care Center is named Padre Pio Childcare Center. One night, the son of one of the teachers had high fever, thus got really worried. In the morning, the mother observed that the child is already well and her son told her that a man with a beard cured him pointing to the picture of St. Padre Pio. God's Great Grace!!!! Dear Padre Pio, Please pray for my marriage to be saved and restored to a marriage God would want a marriage to be. My children have all lost their ways, pray for them to return to their faith. My son to repent, my son in law to be baptized into the faith. My youngest daughter mature and be respectful. My faith to be strengthened. Pray for my mom's health to improve. Peace and forgiveness between all of my family members. Financial guidance is needed also. Pray, hope and don't worry. Padre Poo, I trust in Your assistance and protection. JMJ, I love you save souls. My Patron Saint..Padre Pio had helped me in so many ways, and for that i promise i will forever be one of the spiritual daughter of my Padre Pio..In times of difficulties in life just remember Pray ,Hope and Don't worry..